← Hooray lads! Big, tough Australia finally stands up to the U.S.! ELIZABETH JACKSON: After a day of confusion and diplomatic affront with China, the United States military has beat a hasty retreat from its own suggestion that it will station high-tech B-1 bombers here in Australia. The Pentagon has issued an apology for the statement, which was made yesterday by its assistant defence secretary for Asia and the Pacific, saying that while it does plan to send a mix of fighter, bomber and tanker aircraft to Australia, the B-1 won’t be amongst them. Pentagon spokesman Lieutenant Colonel Jeff Pool has been explaining the situation to our North America correspondent, Michael Vincent. JEFF POOL: During the May 13th foreign Senate relations hearing, ASD (that’s assistant secretary of defence for Asia Pacific) David Shear misspoke when he stated that B-1 bombers and surveillance aircraft will be placed in Australia. MICHAEL VINCENT: So when he said emphatically, “We will be placing,” that was wrong? JEFF POOL: Yes. Yes, it was wrong. MICHAEL VINCENT: Do you plan to put B-1 bombers in Australia on a rotational basis? Not once in the interview did either the Australian journalist or the American military spokesman refer to the response of the Australian government and people to the Americans’ ‘plans’ – whether they might or might not be approved, for example. The latter are immediately understood as given, the former as irrelevant. Think about what this implies in the near future for Australians as the agents of U.S. capitalism draw them and their land mass further into their ‘plans’ (to – unsuccessfully – contain China). 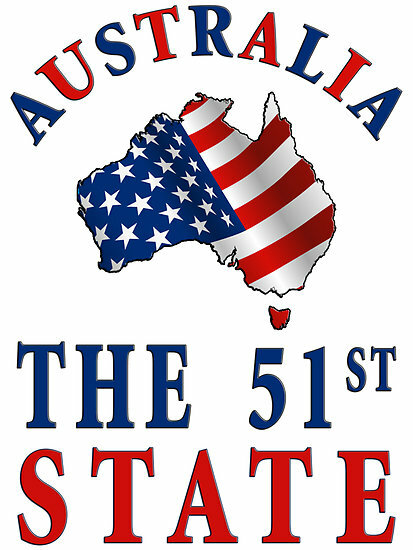 This entry was tagged Australian culture, Australian servility, Australian shame, the 51st state. Bookmark the permalink.